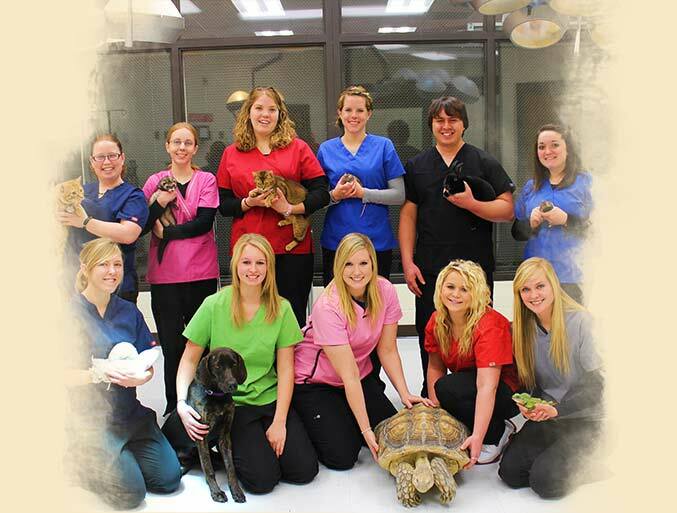 Looking for an exciting profession centered around the health and well-being of animals? NCTA's Veterinary Technology program is for you. From cattle to llamas, dogs to exotic birds, you'll work with diverse animals and learn in state-of-the-art facilities. Expand your knowledge even more through internships, work at research facilities, or travel with the Safari Club. Beyond what you'll learn in class, you'll have the opportunity to be a part of clubs, organizations and extracurricular activities directly related to your major. Safari Club gets you behind the scenes at zoos, wildlife sanctuaries, and aquariums in the U.S. and abroad. Student Technicians of Veterinary Medicine Association (STVMA) members participate in social, educational, and community service activities. Other activities you may be interested in include: Rodeo Team, Equestrian Teams, and Livestock Judging Team. It's easy to apply through our online application process!